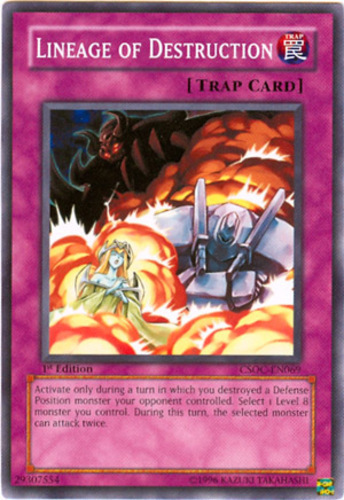 Activate only during a turn in which you destroyed a Defense Position monster your opponent controlled. Select 1 Level 8 monster you control. During this turn, the selected monster can attack twice.